Santa Fe Writer's Project, 9780977679911, 128pp. Finely-honed portraits of hope and change, these two novellas are linked so skillfully that they achieve the intensity of a single novel in which some characters succeed and others fail on separate but equally compelling quests. 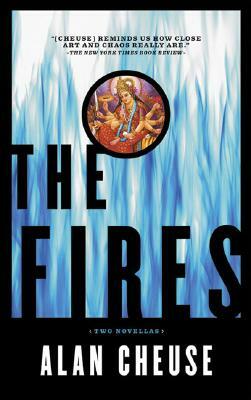 In "The Fires," Gina Morgan makes a pilgrimage to Uzbekistan to carry out her husband's final wish—to be cremated—only to find herself entirely at sea in the strange new reality of the former Soviet republic, while in "The Exorcism," Tom Swanson begins to make sense of his life when he retrieves his angry daughter from her exclusive New England college after her expulsion for setting fire to a grand piano. Alan Cheuse is a longtimebook commentator onNational Public Radio's "All Things Considered" and the author of"The Light Possessed "and "The Grandmothers' Club: A Novel. "A teacher in the writing program at George Mason University and the Squaw Valley Community of Writers, his short fiction has appeared in "The Antioch Review, The New Yorker," "Ploughshares, Prairie Schooner, "and" The Southern Review." He lives in Washington, DC."